Via Montenapoleone is recognized worldwide as the street of Italian and international fashion: in his 500 meters in length, between Piazza San Babila and Via Manzoni, there are all the most important luxury fashion brands, from clothes to accessories to jewelry. Walking in Via Montenapoleone means for most tourists to dream of luxury, while a few, it means bringing home the best that fashion can offer. Via Montenapoleone crosses Via S'Andrea, Via Gesù, Via Santo Spirito, and it is parallel to Via Bagutta and Via Bigli: magical history and luxury places, where there are some of the most exclusive and expensive hotels in Milan. 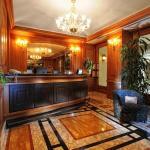 The Hotel Manzoni is located in the heart of Milan in the shopping area of ​​Via Montenapoleone. 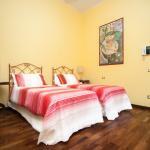 Located a few minutes walk from the Duomo, the hotel lies just 200 m from the Metro stop Montenapoleone.